Once in a while, an electronic wonder comes along that shakes the status quo; a gadget that makes everything change, that rewires our thoughts and ideas and gives us hope for a possible better future, here and now. Sometimes, it is not really just one device, but many-in-one, with multiple capabilities and features that excite the imagination of the users, explorers, problem-solvers or “wannabes”. 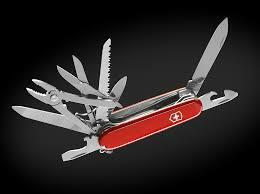 Do you remember the Swiss Army Pocket-knife? Let’s take Google Glass, for example; it is basically a wearable, smart-phone-like device, a communications tool. It allows you to make a phone-call (Glass-call, really), send a text message, e-mail and tweet. Taking photos, video (form the users point-of-view) and searching the Internet are also included. A formerly available feature, the video “Hangouts” and live video calls are not possible for now, but will return soon, and, reportedly, with much-improved quality. All of these capabilities have, for the last year, inflamed the imagination of many people, among many disciplines, in my case, the field of Digital Health, Healthcare and Medical Education. When I first saw Glass in live action, in the hands (forehead) of one of its inventors, Babak Parviz, at the Singularity University-FutureMed program 2013 (http://exponential.singularityu.org/medicine/ ), I immediately knew that this device had the potential to change the game, or even better, “creatively destroy” how the game was played. BUT we have yet to see, much beyond its intuitive applications. The fact that Glass has a second camera that points towards the wearer’s eye, a forward camera, a microphone, a bone conduction audio transducer, a touchpad, a gyroscope, a GPS, an accelerometer, a gyroscope, a magnetometer, an ambient light and proximity sensor and that it is head-mounted, in contact with the skin of the forehead, gives it incredible leverage to develop as a multi-tasking device in medicine. Glass can detect you eye movements and hence its ability to translate those movements into commands. Imagine navigating your screen, texting, typing, etc. , just by looking to different directions. It might sound silly, but think of quadriplegics (a person paralyzed from the neck down), and how this feature could open marvelous opportunities for then to functionally reintegrate, back to life. And then, I thought, this goes pretty much in the same position, in your forehead were Glass usually sits; how about integrating Google Glass + Muse, and add this incredible feature to the mix? Then, a few days ago, I read and article and watched a video, from a group in MIT/Georgia Tech, who is developing the fantastic idea to use the many embedded systems within Glass (the gyroscope, the magnetometer, the accelerometer, etc. ), to basically provide accurate measurements of heart frequency and breathing rate (BioGlass). In addition to the obvious uses in medicine and fitness, this functionality could potentially detect your alertness and anger levels, whether you are falling asleep or not paying enough attention. I can go thru the Glass menu and screens just by moving my hand. Since this device “reads’ the electrical signals at the muscle level, then it potentially can act as an EMG (Electromyogram), and not just read but also evaluate muscular activity (think of the many muscular disorders that could benefit from this); couple this with The Muse, and you come up with a tool to give instant brain feedback related to muscular contraction and movement (Tai-Chi on steroids! ), allowing the training, re-training and/or tuning of a particular group of muscles. As I have said many times before, I think that Google Glass represents the beginning of the natural evolution of the computer (computing) platform. Technology develops and progresses exponentially. Google Glass use and applications are only limited by our creativity and imagination, and only the future will tell what’s possible and Beyond. Stay put and don’t change the channel. Follow in Twitter @ZGJR for more updates and to contact me.